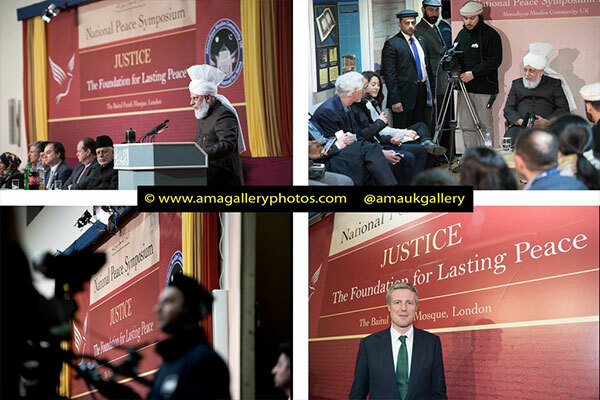 Hazrat Mirza Masroor Ahmad at the Peace Symposium U.K. 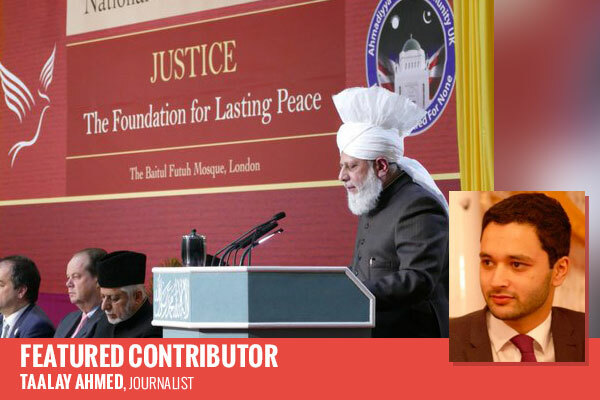 The global spiritual head and Caliph of the Ahmadiyya Muslim Community has called on both the media and politicians to play a more responsible role in international affairs. 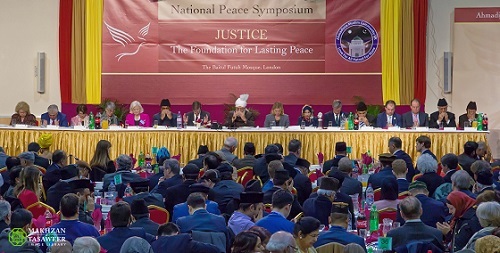 Hazrat Mirza Masroor Ahmad, who leads tens of millions of Ahmadi Muslims worldwide, made the remarks at a Peace Symposium held at one of western Europe’s largest mosques. 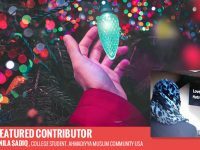 The Caliph also criticised the international media's imbalanced coverage of Islam. 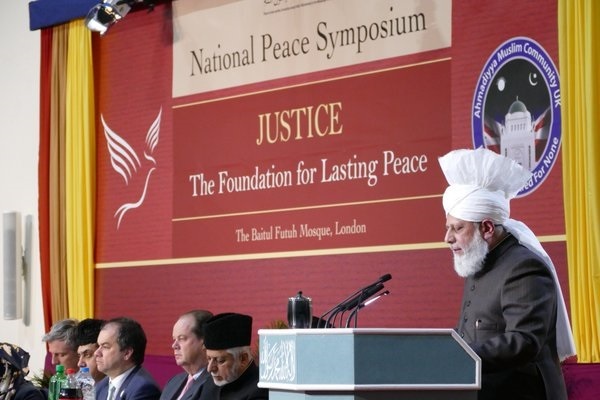 In a wide-ranging speech, the Caliph also warned the world stood on the brink of a catastrophic global war in which nuclear weapons could be utilised to devastating effect. He condemned the practice of regime change, highlighting how previous instances in Iraq and Libya had had terrible consequences for the peace and stability of those countries. He stated only peaceful negotiations involving all parties, including the west, Russia and Iran could resolve crises such as those in Syria and called for countries in the region to sanction ISIS and to stop buying oil from the terrorist group. 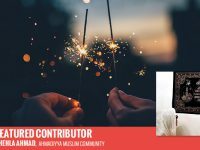 Guests at the event included former UK attorney general Dominic Grieve, Secretary of State for International Development, Justine Greening, Lord Tariq Ahmad, Minister for Countering Extremism and London Mayoral Candidate Zac Goldsmith. The symposium was also attended by members of the European parliament, academics from around Europe, international diplomats, interfaith groups and prominent local dignitaries and organisations. 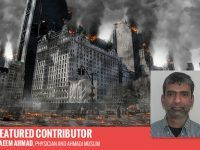 Taalay Ahmed is a journalist who has worked in television, radio, online, and print media. Based in the UK, Taalay graduated from Queen Mary, University of London.